When it comes to travelling, it is important to make sure the expenditures do not exceed the budget. For those who are planning to travel within Myanmar, it is wise to choose to travel by bus comfortably at affordable fares. One of the many bus operators in Myanmar is Aunty Win Express, or simply known as ATW Express that has been providing travel services since 2014. Based in the city of Yangon, ATW bus tickets can be booked conveniently on Easybook website by following these few simple steps. ATW Express has been providing transportations to various parts of the country that is populated with over 100 ethnic groups. It is important to make sure the cost to travel does not exceed budget, which is why every little decision matters. With so many places to visit within Myanmar, it is wise to travel by bus without breaking the bank even when it comes to a group trip. Plus, travellers can make the bus ticket booking conveniently online whenever and wherever they may be in the world. Trips to cities like Dawei, Myeik and Kawthaung in Myanmar are some of the most popular routes provided by ATW Express. From Yangon, travellers can board the bus from Aung Mingalar Highway Terminal. 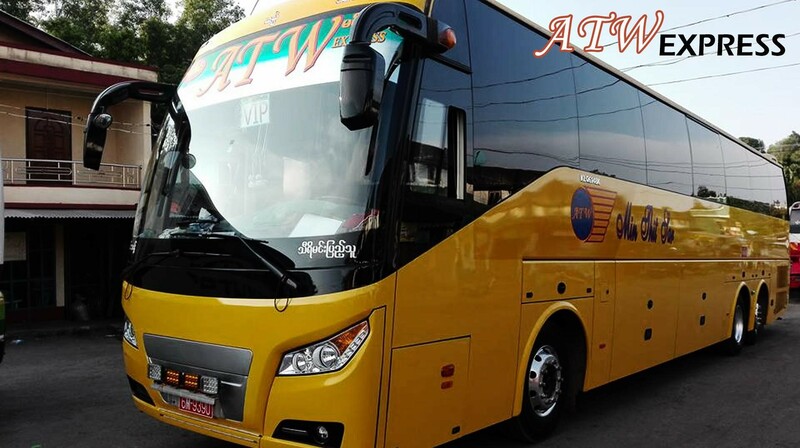 Whether it is a fun outing to Maungmagan beach in Dawei with family or check out Maliwan Waterfall in Kawthaung with friends, ATW Express is ready to take you there. Passengers would either be riding in one of their single deck buses that are available in both 27 and 44 seaters from Yangon, which is the largest city in Myanmar. Comfort is one of their main priorities for passengers as these long-haul ATW bus rides can be grueling at times, but a wonderful experience passing by all the Myanmar towns. Check for the most suitable schedule and price upon looking up for the trip on Easybook in order to have a hassle-free travel when the day arrives. In the past, travellers are required to go to the respective operator’s counter at the terminal to book the bus ticket, but not anymore with the advancement of technology these days. Just like retail shopping, ATW bus tickets can be purchased online at any time of the day. Find the preferred routes, dates and amount of pax on the main page to see the complete schedule. From there, the complete list of time and fares will appear for you to choose. Select the most suitable trip, fill in the personal particulars and make the booking online safely on our platform. There is also the option to make online booking with Easybook at the palm of your hand upon downloading the app to the smartphone. Users are still able to access the ATW Express schedule and fares through the app, just like the website. What are you waiting for? Start planning that trip to Dawei, Myeik or Kawthaung in Myanmar with ATW Express today. Let us help to kick start your next Myanmar trip and build new memories!